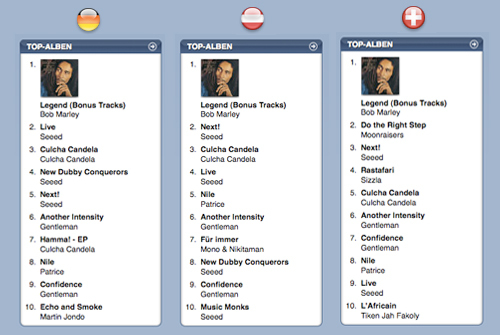 After Dancehall-Mobi published the Top 10 Reggae Album of the iTunes Store Canada yesterday, I felt like looking up the international hitlists. Quite some Bob in there. 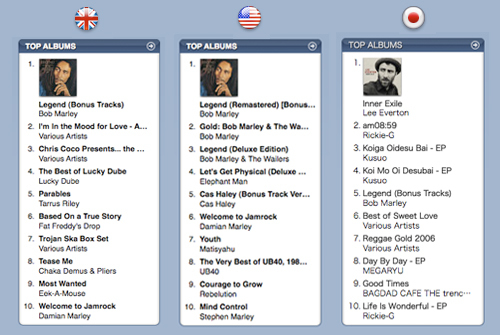 Didn’t know the Japanese massive loves swiss reggae-light-Jack-Johnson-wannabe Lee Everton that much. good to see Martin Jondo receiving respect, too.